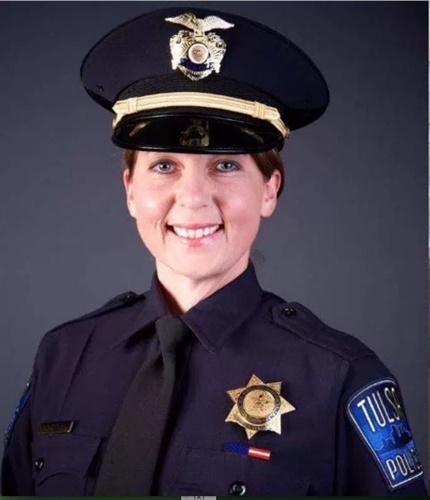 Tulsa police officer Betty Shelby will return to duty but not on patrol assignment after her manslaughter acquittal, and she will receive back pay from her unpaid suspension after she was charged in Terence Crutcher's death. Police Chief Chuck Jordan in a statement Friday morning said that Shelby "pursuant to the jury verdict" will return to work but not in a "patrol capacity." Shelby was placed on unpaid administrative leave after she was charged Sept. 22 with first-degree manslaughter. Shelby will return to duty next week in accordance with the collective bargaining agreement, defense attorney Scott Wood said. "I believe it was a wise decision to keep her out of patrol at this time, simply for safety reasons," Wood told the Tulsa World. In a letter filed with the district court and released Friday, the jury's foreman noted that jurors encourage the police chief and other administrators to "take a detailed and earnest review of all points" of Shelby's encounter with Crutcher. "If she had any opportunity or flexibility of judgment to subdue the suspect with a less lethal force in the moments before the event culminated tragically, then her ability and judgment as an officer under pressure has to be called into question, and serious consideration given to whether she be allowed to return to practicing law enforcement," the jury foreman wrote.